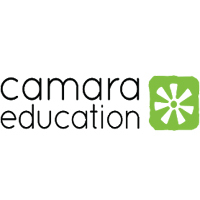 Established in 2005 Camara Education is an international educational organisation dedicated to delivering real impact through technology by inspiring and empowering a young generation to improve their own life opportunities. We do this by designing innovative technology based solutions that focus on real educational needs and delivered through a sustainable social enterprise model. Education system change is the cornerstone of this approach. We achieve this by working with government agencies, education organisations, schools, and youth centres. Our services are delivered through a network of local hubs in Ethiopia, Kenya, Lesotho, Tanzania, Zambia and Ireland. Each country’s education system has unique needs that are met by our local education hubs and teams. Our activity is both supported and made possible by our funded programmes and the contributions of all our partners. The purpose of this role is to provide financial leadership for the Camara Education Tanzania hub. The role will be responsible for the financial management, control and oversight for all the hub activities. ● Where there are donor funded projects, ensure that donor reporting is accurate and timely. ● Ad hoc tasks as may be required by the Country Manager from time to time. ● Qualified/part-qualified accountant (CPA, ACA, ACCA) with at least 5 years work experience in a similar role. ● Experience of the Tanzanian tax and regulatory environment. ● Ability to work with competing deadlines. ● Good communication and interpersonal skills. ● Passion for what we do. ● Please do not call or send a text message.